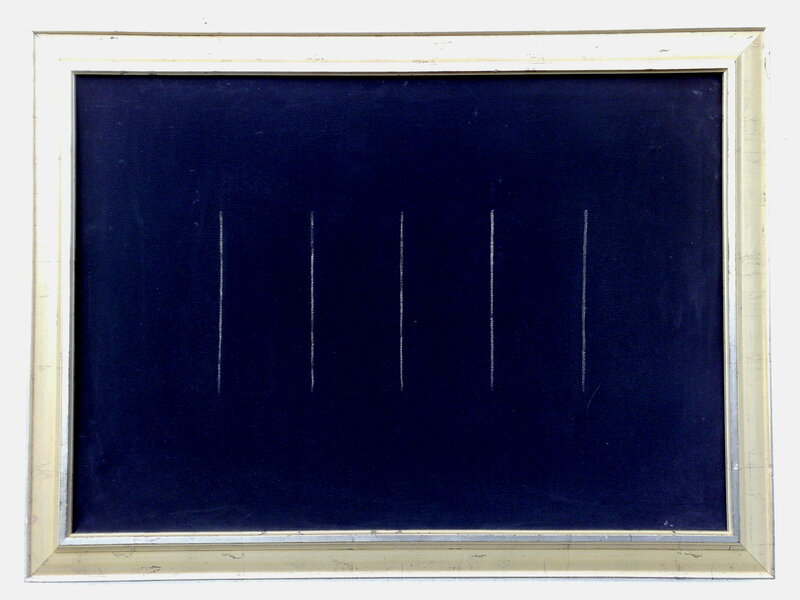 Franz Xaver, 433 MHz, Conductive Silver on Canvas. The Length of the silver lines is calculated to correspond with 433 MHz. When em waves of that frequency pass through the painting it starts to oscillate and produce a standing wave.